No warrior should ever head into battle without having their sword at their side, and more importantly, without having it within easy reach. And with this Leather LARP Sword Hanger, both of those feats are easily achieved with just one accessory. Blissfully uncomplicated in its nature, this LARP sword hanger is made to be user friendly, and more to the point, incredibly effective and useful. 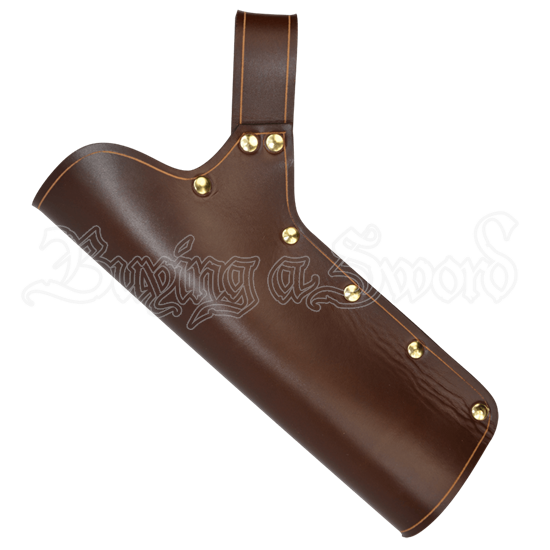 The hanger consists of a partial leather sheath that acts as a perfect holder for your LARP sword, while also featuring a leather loop that slides onto most belts, allowing you to keep your favorite sword at your side. This ensures that with a swift draw, you can be armed and ready to engage in the greatest LARP battle of your life in just a moments notice! Better yet, this sword hanger works well with other weapons too, being sized to fit sword blades, axe hafts, and mace hafts as well! Plus, the rich coloration and unique look make this quite the little accent to your costume, too. The sword hanger is double sided, making it suitable for right handed draws and left handed draws. 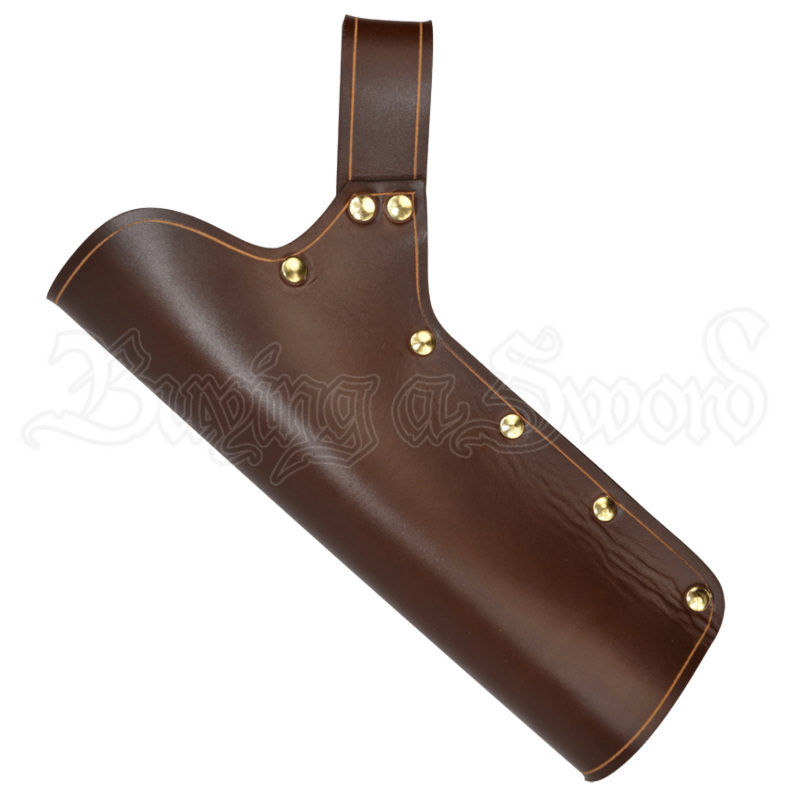 Fitted with your LARP blade of choice, this Leather LARP Sword Hanger becomes more than just a nice new accessory. It becomes a must-have piece that will keep you both stylish looking and combat-ready in the field.